Advertisements are everywhere, offering the latest and greatest gadgets! How will children ever learn to stop, think, and take the time to make informed choices about spending their well-earned dollars? Fear not, for help is at hand with the new Australian Curriculum Economics and business series. 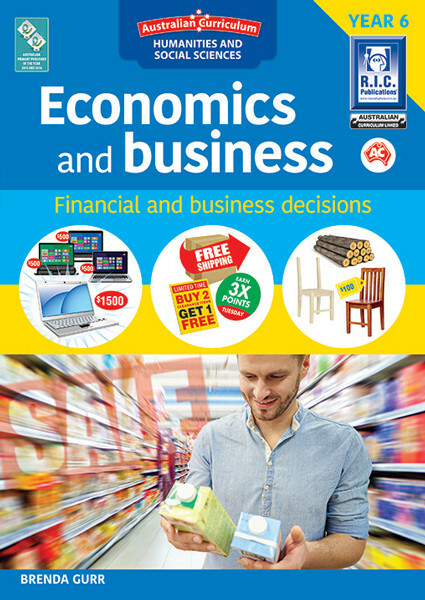 As it guides you through the minefield of the subject’s many concepts-—delving into the difference between needs and wants, solving the mystery of supply and demand, offering the choices of opportunity cost, delivering the different levels of industry sectors –the practical approach of this two-book series will set your students on the road to becoming the next generation of global business giants and entrepreneurs!